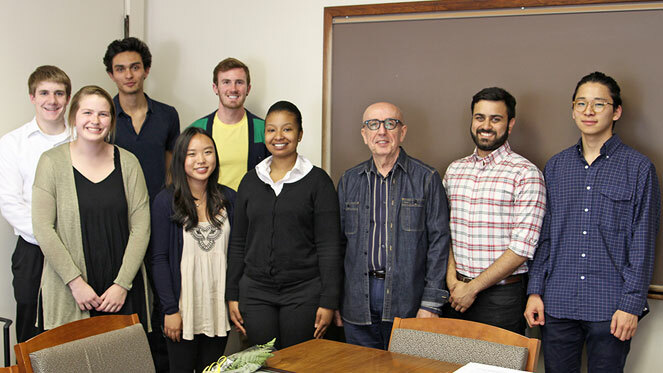 This spring, eight students with majors or minors in Carnegie Mellon University’s Department of History were inducted in Phi Alpha Theta (PAT). The national honor society was established in 1921 to promote quality research and learning experiences and unite undergraduate and graduate students with faculty. About 9,500 members join the society each year through 860 local chapters.